It seems difficult to reupholster something. Painting fabric is a lot easier. Not only is upholstery a skill, finding the perfect fabric can be equally difficult. 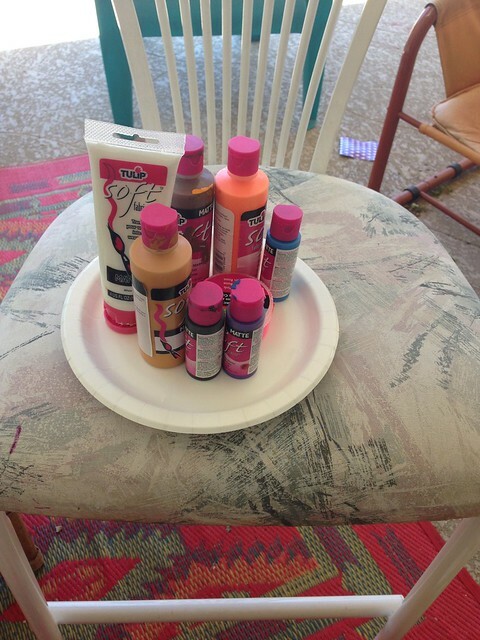 Painting also has the benefit of being customizable. 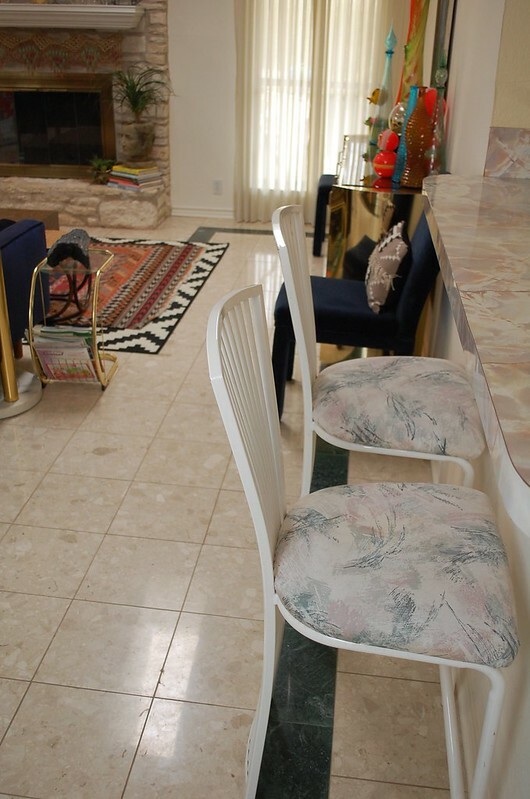 I had a pair of stools who's shape I love, but fabric seat I hate. My sister and I tag teamed them to try and make it better. Here are my barstools before the makeover. The shape is great, the fabric not so much. I recruited my sister Hope Perkins and we channeled our inner Kristy Gammill, Ashley Goldberg and Lisa Congdon. In other words we tag teamed an abstract. 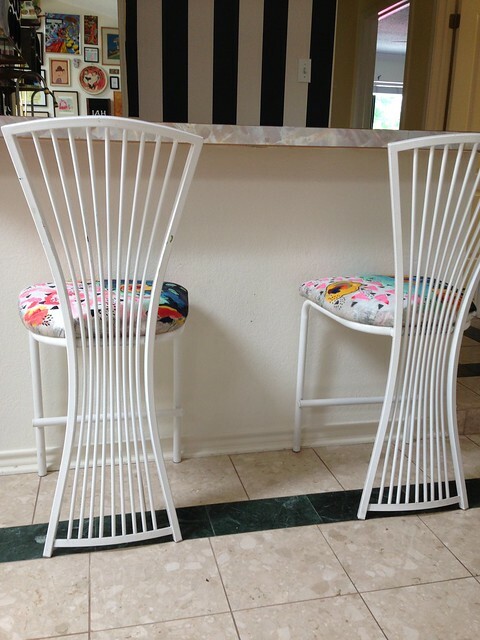 I love the way the stools turned out. They were quick, easy and one of a kind. 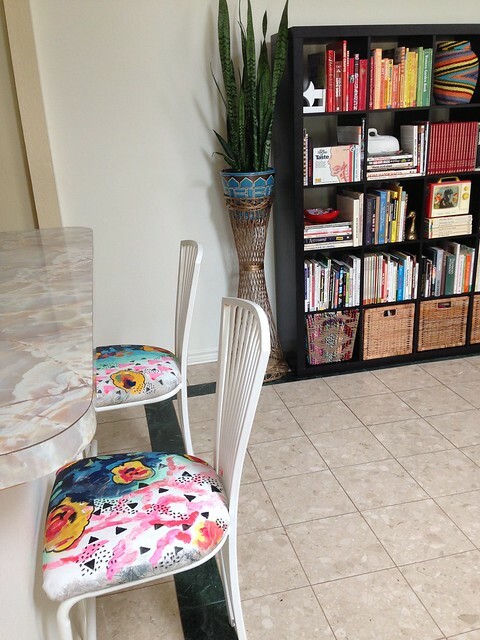 They are just what I needed to hide the bad 80's fabric on the stools until I find my "dream upholstery fabric". Who knows maybe this custom abstract paint job is my "dream fabric". Wow, love them!! I wanna go paint something!! One of a kind! Love them! Brilliant plan of action, they came out so cute! I am crazy for these, Jen! You gals really rocked the art, and made them child-proof, too! Oh gosh! Those bar stools are definitely works of art. I like the splash of colors. 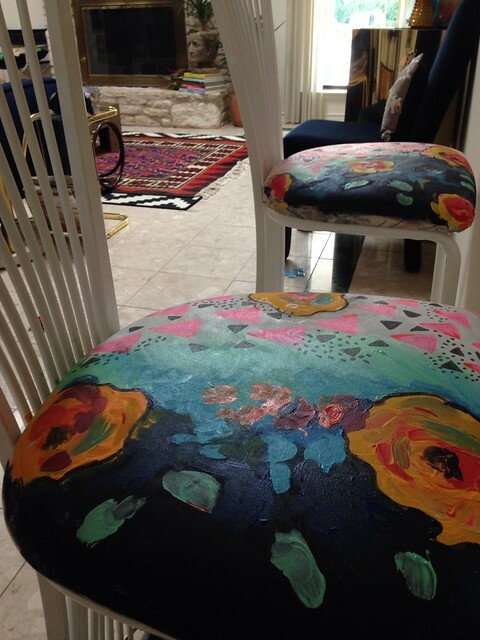 I'm going to have a hard time sitting on them, probably because I'll be conscious of the beautiful artwork or whether or not if the paint will smudge on my pants. Hahaha! Anyway, kudos to you for the awesome job! I love it! Congrats! This is really an amazing transformation. 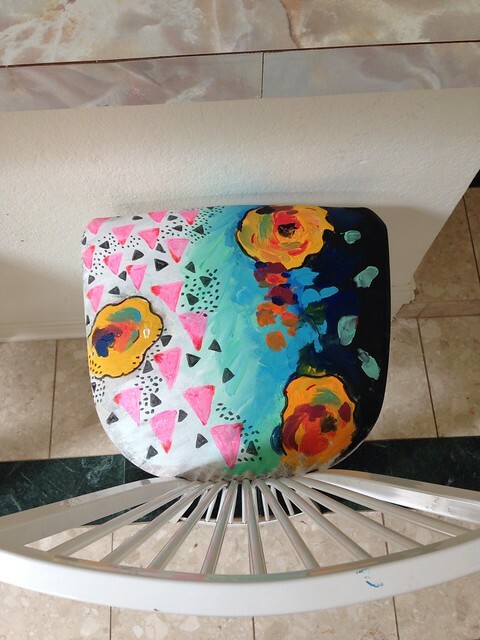 From a dull and fainted bar stool appearance to a lively and colorful one. 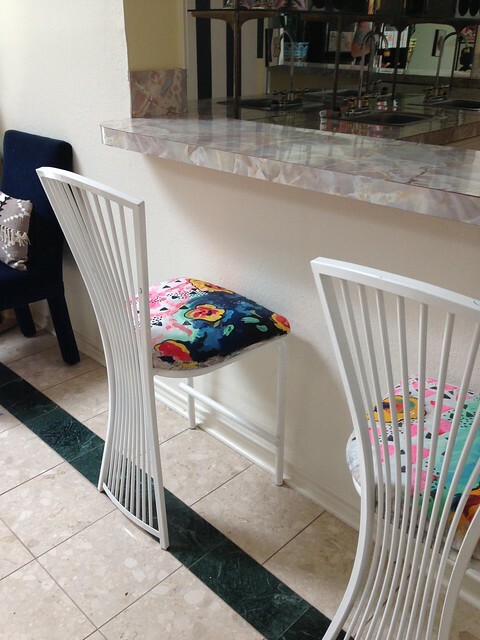 The bar stool is more attractive and I am sure your visitor will surely love your bar stool.